The finesse shot is back in FIFA 19 and it once again serves the purpose of taking a highly accurate shot on goal with the sacrifice being a little bit of the power that you'll find on a normal shot. The trade-off is that Finesse shots are a little bit harder to execute and will add a bit of curve to the shot which often does well to get around the goalie. The finesse shot can be used in a number of different scenarios, but we've found that it's a really good shot to use when you are one on one with the goalie and they are the only one between you and the goal. Since the shot uses a curve, you're going to want to angle the player to take the shot with their dominant foot and then try to curve the ball around the goalkeeper. The finesse shot won't look as powerful as other shots, but it can be used from a number of different distances. Additionally, when you're in front of goal in FIFA 19, there will be times where you need to hit the ball with every last ounce of strength that your player can possibly conjur up in their leg. Other times, a more delicate approach is required. That's where the finesse shot comes in particularly handy in your offensive arsenal, allowing you to place a shot into unreachable areas of the goal such as top or bottom corners. How to perform a fitness shot in FIFA 19? 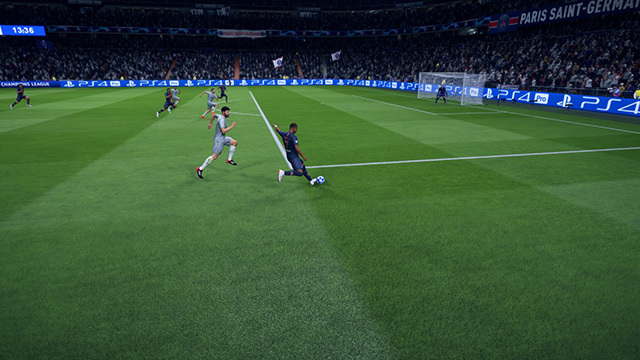 In order to do a finesse shot and score in FIFA 19, you'll need to use the same inputs you've been doing in previous years. For newcomers, let's run you through those. On PS4, you'll need to hold the R1 button while you're holding Circle to charge up your shot with the right amount of power for the distance you are away from goal. On Xbox One, you're going to hold the RB button while you're holding B. That's enough if you want just a bog standard finesse shot, but who wants standard when you can pull off a wonder strike? Unfortunately, if you don't have the trainer on in FIFA 19, there's no gauge or bar to tell you when to hit the shoot button again for the Timed Finishing system, you just have to kind of guess. But once you've got a few under your belt, you'll be pulling off one miraculous finesse shot after another in FIFA 19.